If your consent mechanisms already comply with the GDPR best practice, we can help you migrate your existing preferences which are saved in your database (but not visible) to the new member consent tables. Download this document to learn more. 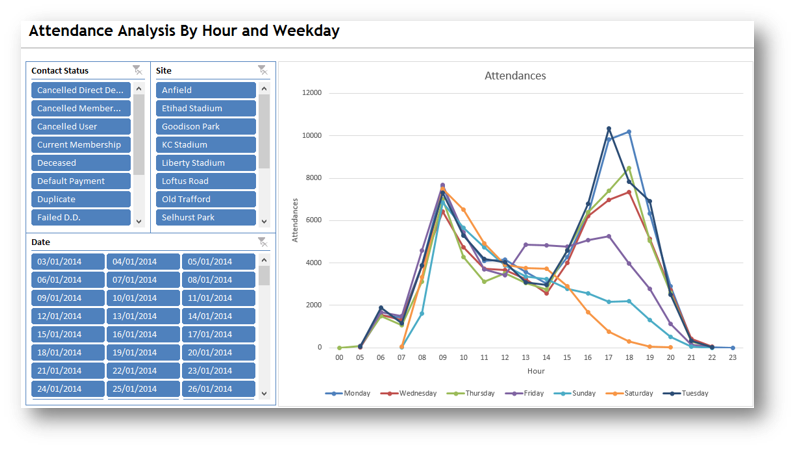 The modules Reports and eyeQ deliver powerful analysis and business intelligence functions, enabling operators and clubs to query their data and identify trends to make strategic decisions. Download the eyeQ datasheets to understand more about the value of eyeQ reporting. We have prepared a selection of pre-defined reporting packages to get you started. You don't need to be a expert in Data Analysis our team of Data Consultancy experts are on hand to assist. Bespoke GDPR data services are now available for operators to prepare their LMS database. Ensure that all the contact records have the correct opt-in/out status together with a data cleansing service offering to identify sleepers and out of date records. Every business would like to reduce overheads and increase customer spend through automated processes. BPM offers exactly that plus the opportunity to communicate to your members based on your own business requirements to create unique advantage. We like how eyeQ integrates seamlessly with Excel pivot tables, enabling us to slice and dice the information according to our needs. And because Excel software is so universal and easy to use, the majority of people who need to see the data understand it.